So, the subscription to the fitness club is bought, and now you need to choose how to do it: in a group or individually in the gym? Consider the shortcomings and advantages of this kind of training. Let’s start with the advantages that make beginners give preference to classes in groups. A large selection of ready-made fitness programs is what attracts attention in the first place. Sports club schedules are replete with fashionable names: press hip, step aerobics, ABS, cycling, stretching, pilates and many other topical destinations, and they are tempted to try it all. Turns excitement, interest in pursuits – in fact there is so much new and effective on the way to the ideal figure. You can choose between power, aerobic and soft directions, and also combine them with each other. You do not need to compile an individual program, carefully considering the weights and the number of approaches. Do not have to think about what exercises to do today, and what – tomorrow, to plan for progression in increasing weight and intensity. All that is required is to come to the training with a good mood and carry out the coach’s commands. It is he who decides how you will train in this or that occupation, relying on the features of the program and the composition of the group. The spirit of competition and the motivation of the group. Being engaged individually, you can always find the reason to skip training. You need to have a lot of willpower to force yourself to go to the hall. The group awakens a sense of responsibility, under the intense gaze of the coach the exercises are performed more conscientiously. 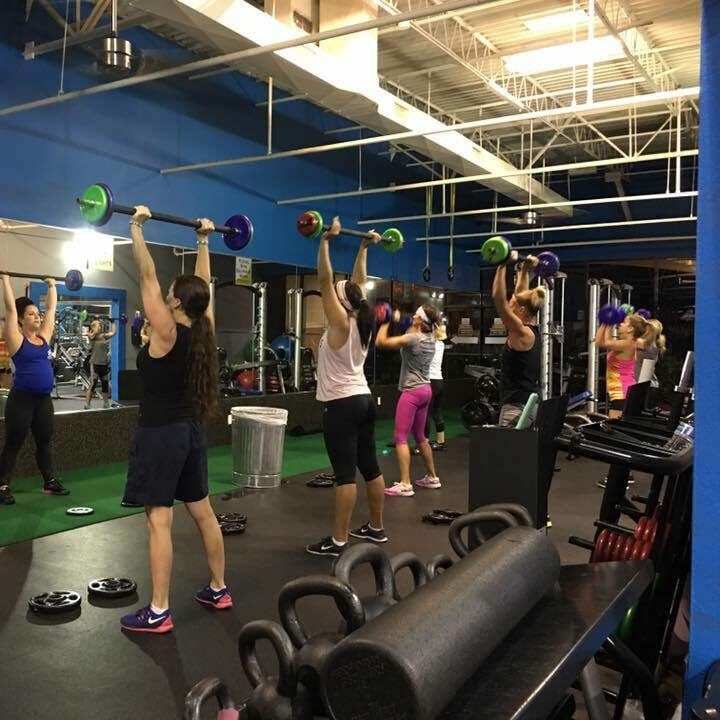 Usually in the standard fitness clubs of the group are pretty cohesive, the girls get acquainted and actively communicate on common topics, supporting and motivating each other regularly to attend classes. Looking at the successes of others, you will be more eager for your own victories. Group classes are suitable for beginners. Visiting different trainings, you will be able to determine the most suitable direction for you, explore the possibilities of your body. If, for a person unfamiliar with fitness, the gym seems like a frightening and even threatening world in which he remains alone with incomprehensible shells, then the common occupation is the complete opposite. It’s psychologically easier to come to a group where everyone will show and tell. Of course, much will depend on the coach, his professionalism and methods of conducting classes. And here we will gradually move on to the disadvantages of group training, which, as usually happens, smoothly flow from the pros. One-size-fits-all – that’s how you can characterize the style of conducting group classes in most clubs. Individual approach, focusing on your specific capabilities – this will not be the case in the general lesson. All you can choose yourself is the weight of the shells. And if you are a beginner, it’s not a fact that you will do it right. For all, there is one common standard program that needs to be followed. Probability of overtraining and injury. In large groups, the trainer rarely manages to control the technique of performing exercises by each practitioner. As a result, the responsibility for health is almost entirely borne by you. Usually girls tend to attend classes for weight loss more often, which are characterized by high speed of exercises. Keep the pace, while maintaining the right technique, it is quite difficult, especially if you are new. At the same time, I do not want to lag behind the group and this is where the danger of overtraining appears. In this situation, the main advice: do not chase after all, focus on your feelings and do not hesitate to ask questions to the coach before or after the session. The lack of progress is a minus, arising from the previous ones. Large fitness clubs with a constant influx of new people try to adhere to the established schemes for conducting group training. Usually there is no division into groups for beginners and groups for those with experience. As a result, from month to month you will perform the same programs. And the absence of change is not only boring, but also inefficient. And if after the first lessons you immediately notice the result, then the situation will no longer change for the better, if the program is not changed to a more complex one. Group sessions will have to be attended strictly following the timetable. As a result, you will always be tied to a certain time, which, you will agree, is not very convenient. Moreover, the most popular workouts are almost always put on the evening time and a large number of people gather on them. A crowded hall, when you have to fight with shells shells and place for your rug – not the most comfortable place to perfect the body. And on the attention of the coach in such conditions and at all you can forget. From the above advantages and disadvantages we can conclude that the group training is “50-50”. But this, perhaps, is not entirely true. It would be more correct to say that this type of training is good for beginners and for those who go to the hall more for entertainment than for achieving a specific goal (lose weight, get pumped up, etc.). But in this case, too, it would be superfluous to order at least one individual training to avoid injuries in the future – yet they do not joke with health. Get involved in the rhythm of fitness group classes help not bad. But real progress and employment “in the common heap” are incompatible. Sooner or later you will want something more, and for this you need a serious approach, a gym, an individual program. Self-improvement is the study of techniques, techniques, reading relevant subject articles and communicating with a professional trainer. And this, too, is addictive. And with a great desire, perseverance and work leads to excellent results. In this case, group classes can always be left to “dilute” serious individual lessons. Always carefully choose a coach, but remember: the responsibility for the result lies, first of all, on you, and the best assistants are willpower, dedication and readiness for hard work on yourself.